It’s pretty obvious what fuels people’s resistance to change, right? Fear. Fear of whatever that change represents, or might bring about. Fear of getting found out, maybe. Try and quantify the fear and it kind of falls apart. Believe in it and it swells to unmanageable, undefeatable sizes. Change within organisations is really interesting, though. How do a set of personal responses somehow aggregate into something you might want to call systemic fear? Is it do with size? Is it do with having the wrong people in the important, influential positions? Or is there something inherent in organisational change that makes it reliant on the very people who stand to lose most from it? Running a department is habit-forming, but it doesn’t mean the habit is the only way of doing things. It’s merely convention, of course, but when it’s your convention it’s pretty tough to have an objective perspective on that. It’s when those in charge think convention applies to everyone that we organisations get into trouble. When it happens at clients we do what we can to advise. When it happens at agencies it’s dispiriting. 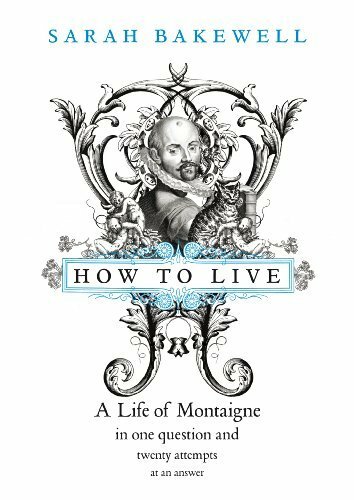 I’m reading about Montaigne at the moment. Fascinating man. Invented the essay – a whole a new way of writing that simply hadn’t existed before. His aim was to understand the most consistently surprising and interesting thing he knew – namely himself. In short, he kept on looked inward, and in so doing found a way for people outwardly to identify with what he found. And the question that interested him the most was ‘how to live’. Not ethically, but well – how to get the most from life. In getting personal, and authentically recording the contours and digressions of his imagination, he discovered the universal. Anyone who writes a blog is in his debt – he effectively invented the form. But he did it in the 1570s. For anyone interested in reading more then I can’t recommend this book enough. Montaigne was all about perspectives. His writing is full of shifts from one point of view to another, analysing the same problem time and again, via the lens of different situations. It’s a philosophy, of sorts. Wise at our own expense? Isn’t that brilliant? Everything you need to know about the self-sacrifical imperative behind improvement and change is right there. If you want to know how to live, then it’s going to cost you. You want to be better? You want change? It won’t happen without something from you as part of the transaction. So, when people’s self-interest stands in the way of systemic change, maybe they should be made to remember that. I think we’d all be better off. But what about the fear? ‘At our own expense’ is steeped in that. Position, status, credibility, relevance – all methods of payment. They’re difficult to define, too, which makes their threat even more powerful. People will lose out – but on what, exactly? And surely we must have some sympathy for people in positions who fear doing things differently – after all they’ve been successful getting to where they are? But it only seems like success until someone (or another company) does something entirely differently, and becomes way more successful by doing so. This is pretty much guaranteed, despite assumptions to the contrary. Someone creative, with less to lose, will always find new ways of doing things. But, to quote Black Swan theory, it’s only inconceivable for as long as it remains unseen. And after it’s been witnessed, everyone seeks to explain its arrival, to re-contextualise it as inevitable. So we never recognise our own short-sightedness. We all want to appear right, learning nothing in the process. We may incur no expense, but we remain foolish. And so the fear is merely more perspective, the successful MO merely another convention. Montaigne, predictably, was all over this. He saw openness, mercy and honesty as the best policies – which for his time, of course, was entirely unconventional. (Whereas, of course, now…). “The French countryside of the 1580s was so rife with thieves and murderers that every house was obliged to keep ‘watchmen of the vineyards and orchards; gates,locks, bolts and mastiffs’. [But] not the Montaigne estate: there the only defender was a person whom Montaigne described as ‘a porter of ancient custom and ceremony, who serves not so much to defend my door as to offer it with more decorum and grace’. So, people in charge, over to you.